INDIA. Mumbai. 2006. 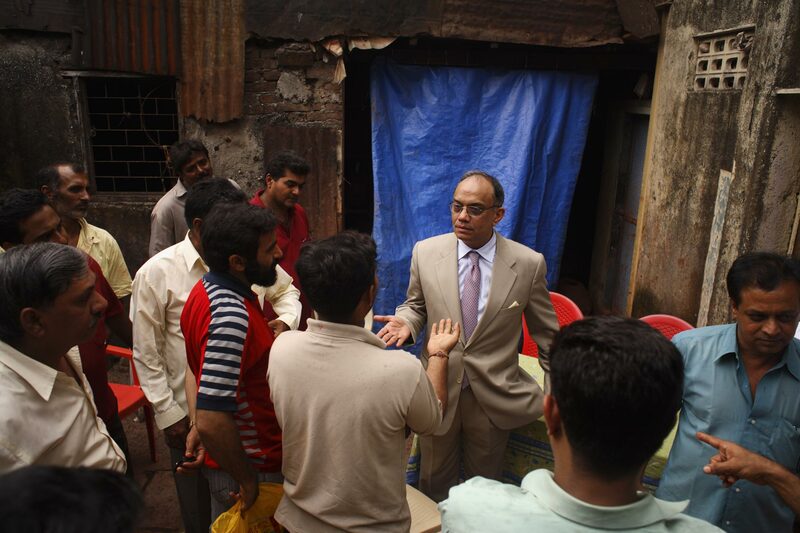 Mukesh Mehta, the urban planner masterminding the current Dharavi redevlopment plans, comes to the Khumbarwada area, home of the Gujarati potter community, to try to gain support for his plan.